Berklee College of Music President, Roger H. Brown, visited Berklee City Music Network Member Chicago West Community Music Center (CWCMC) in April to meet with students and staff. 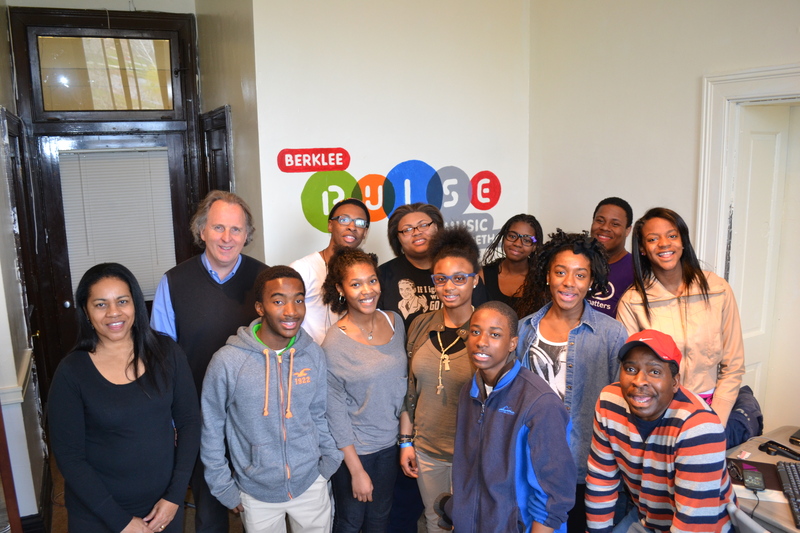 President Brown toured the facility and saw the City Music Room where students study the Berklee PULSE Method. Students were able to ask President Brown a wide array of questions about Berklee including tuition, scholarship opportunities, financial aid and entrance requirements. The community based music center is located on Chicago’s westside. CWCMC is focused on improving the economic, intellectual and social condition of the Westside communities within and nearby Chicago through musical and artistic education.